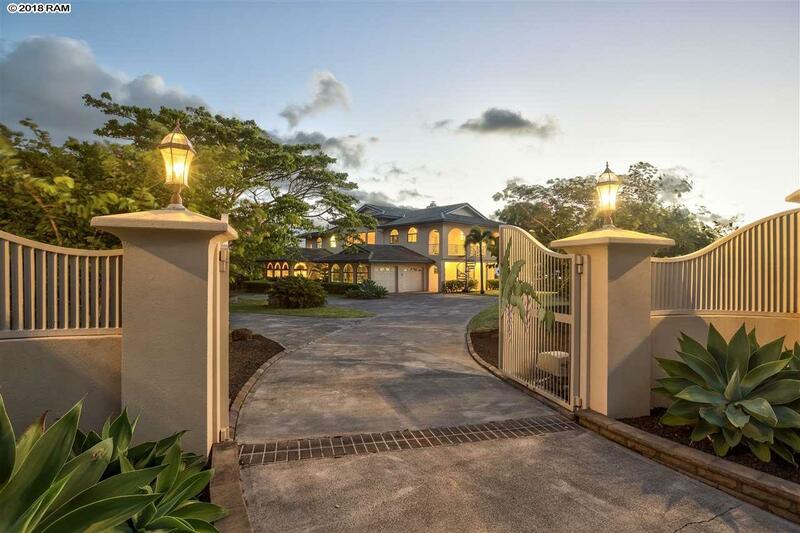 Enter a world of beauty through your PRIVATE entry gate to a gorgeous 4,232 sf home with UNOBSTRUCTED VIEWS on 2.2 acres in Pau Hana Estates! The huge windows showcase the bi-coastal ocean views and glorious night time city light views! 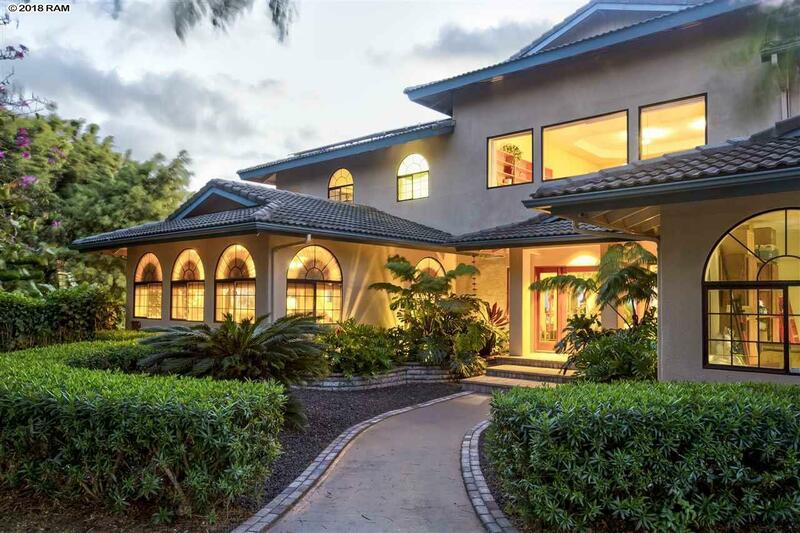 This beautiful 4 BR, 3 BA home features a custom kitchen with a panoramic view window looking out to the private backyard and amazing tropical flowers, shower trees, fruits for the picking and mature palms. Just stand at the induction cook top and watch the cruise ships pull in and out of the harbor! 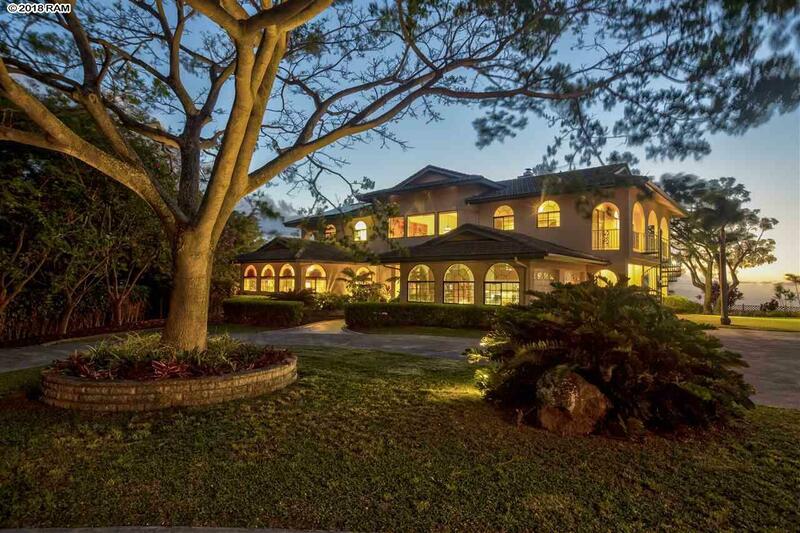 This elegant property comes with a fully owned PHOTOVOLTAIC system as well as solar hot water! The breezes are lovely at the home's 1500' elevation; rarely is heating or air conditioning required. 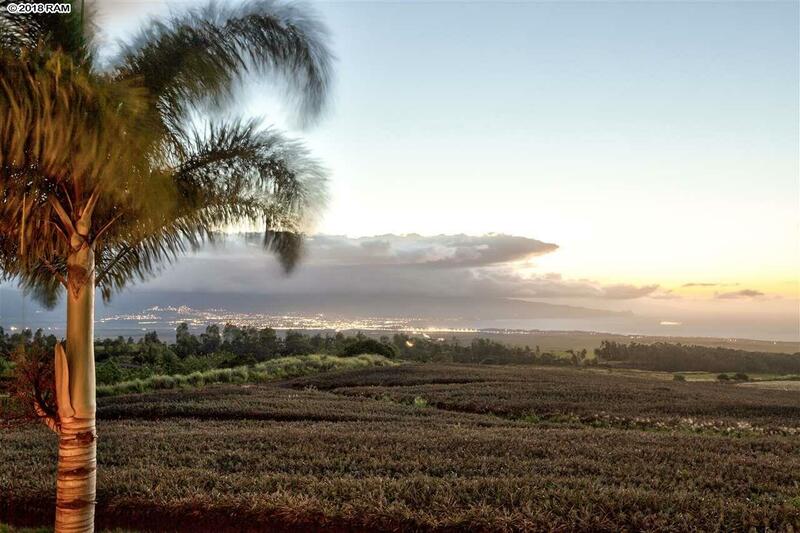 You will also appreciate the Agricultural zoning and the low property taxes and very close proximity to town. This usable parcel is large enough to keep horses or livestock and you can grow edible gardens in the raised masonry vegetable beds. This home has been lovingly cared for over the years and reflects the heart and soul of the Owners. There is beauty everywhere you look. Why not capture the elegance for yourself? Listing provided courtesy of Equity One Real Estate Inc (P).